Finding the best pub in London isn’t simple. But there are some which have impressive charm, history and creativity. Captured in all its gloomy, gritty glory by London photographer Gavin Hammond, The George Tavern is 700 years old and for some, the best pub in the city. You’ll often see it used in fashion magazines as a backdrop but really, this pub deserves its own showcase. Charles Dickens, Samuel Pepys and Geoffrey Chaucer all mention The George in their work. Kate Moss and Amy Winehouse once joined forces to save it. 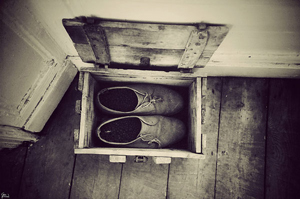 Run by Pauline Forster and her partner Toby Penrose, the pub is an arts, music and performance venue with a theatre and exhibition space as well as a music venue and bar. 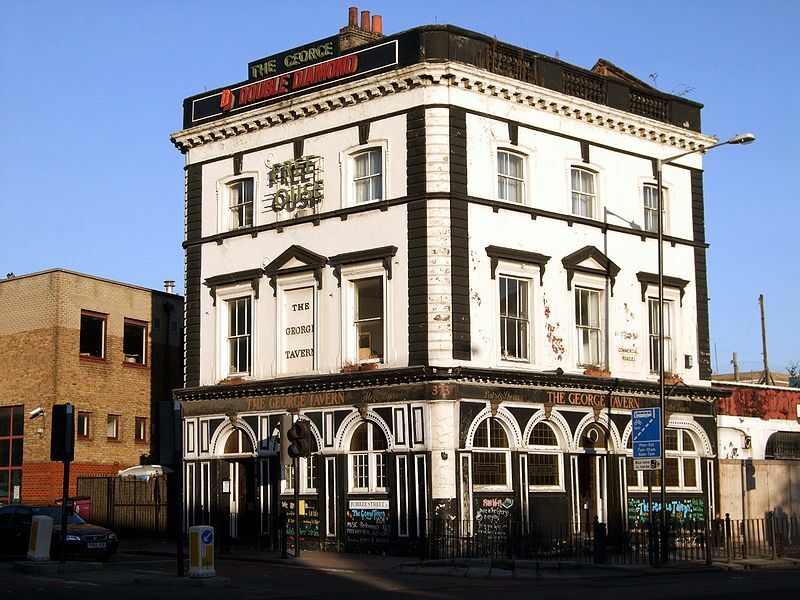 The George is at 373 Commercial Road in London’s East End, accessible from Shadwell East London overground train, Shadwell DLR, Whitechapel Tube and the 115 and 15 buses. The pub has been at the heart of the East End revival for years and nurtured many bands along the way. 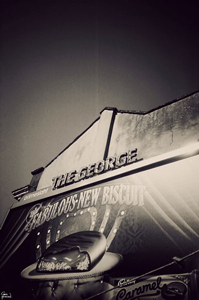 From poet John Cooper Clarke to The Magic Numbers, The George Tavern hosts famous names as well as new talents. It’s one of the few London pubs where you’ll find an art quiz. This Grade II listed venue still has the original brickwork from its days as the Halfway House. 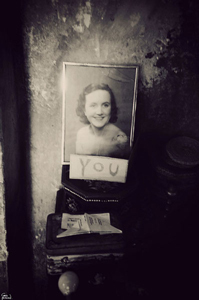 (All photographs above, copyright Gavin Hammond). When Holiday Goddess put together The Holiday Goddess Guide to Paris, London, New York and Rome there were several nominations for the best pub in the city. The George, in sunshine, rain and snow, just has to be a contender. If you’re visiting London soon, there is a mailing list and event schedule, before you make the East End pilgrimage.